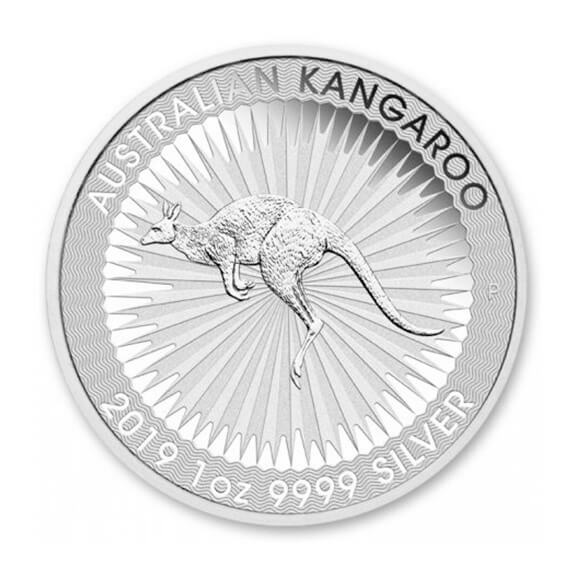 The Australian Silver Kangaroo 1 oz is a new edition to the long line of precious metal products produced by the world famous Perth Mint and promises to become one of the most popular 1 oz silver bullion coins in production today. 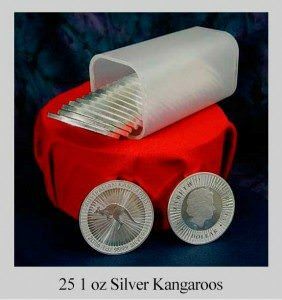 The Australian Silver Kangaroo 1 oz is beautifully finished and includes a number of new security features added to both the coin itself and its new packaging. 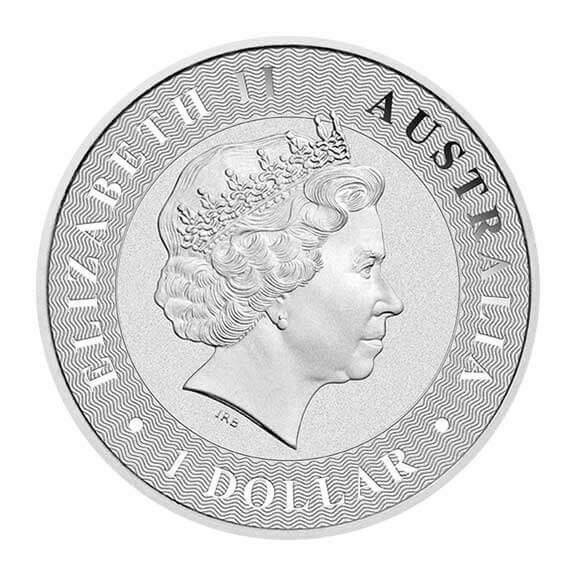 The Australian Silver Kangaroo 1 oz produced by the Perth Mint contains the following identification: The front of this new silver bullion coin displays a picture of Queen Elizabeth and the lettering around the queen is as follows: ELIZABETH II followed by AUSTRALIA, a small circle and 1 DOLLAR followed by another small circle. 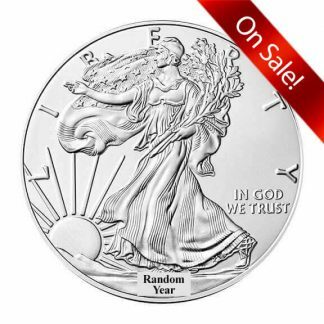 This coin has a legal tender value of one dollar which is largely symbolic because of its silver content but such designation by a sovereign nation provides international status in trading. 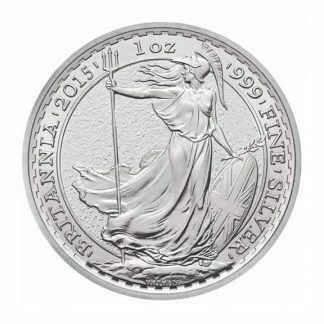 The lettering around the queen is struck against a finely designed matte background which provides one of the finest security features in the business – and the matte/mirror result is beautiful in the bargain. The back of this silver bullion coin uses the same security feature and you will see the words AUSTRALIAN KANGAROO followed by 2016, 1 oz, 9999 SILVER. At the center of the reverse is the familiar red kangaroo surrounded by rays of sunlight. 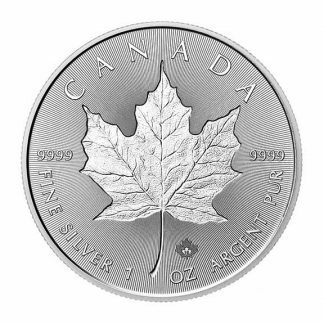 The interplay between the matte and mirror surfaces gives the coin an added elegant dimension and its reeded edge is finely executed. 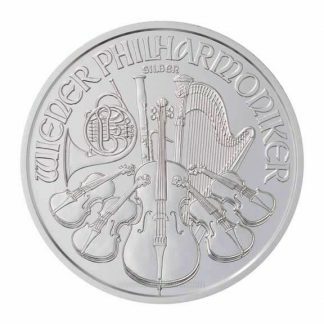 The presentation of this new bullion coin is also extraordinary. 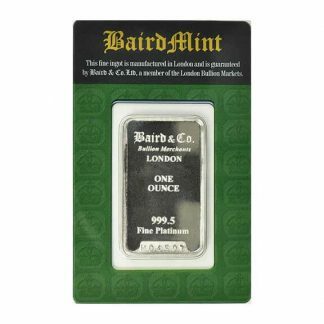 It comes in protective acrylic tubes of 25 coins and there are 10 tubes to an original box making for the first mini-monster box containing 250 coins. This innovation makes for easier handing, each acrylic tube is sealed with the Perth Mint’s tamper evident security seal, and the new box has a transparent top so the consumer can see what is being delivered without opening the box. 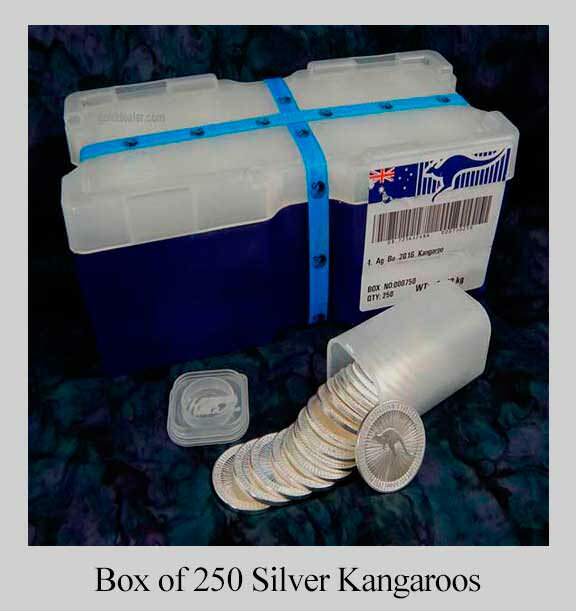 The Australian Silver Kangaroo 1 oz is popular for other reasons: (1) its 1 ounce weight is easily handled and the new mini-monster box can be safely stored in bank deposit boxes. (2) The Australian Silver Kangaroo 1 oz makes valuation simple because this bullion coin moves directly with the price of silver so GoldDealer.com and other large dealers post daily buy and sell prices. 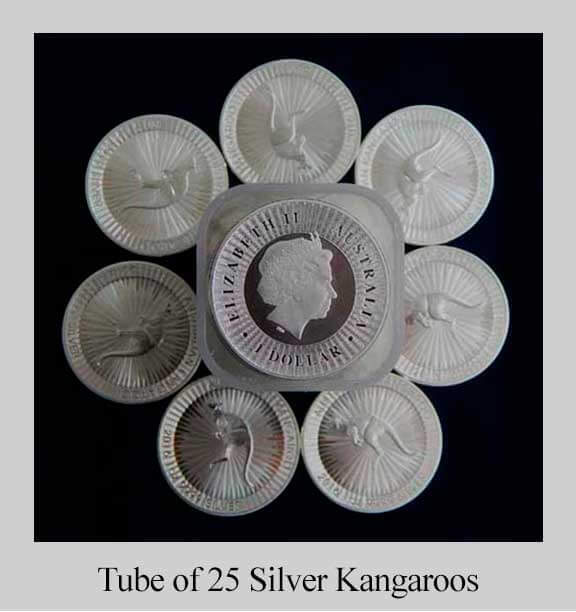 (3) The Australian Silver Kangaroo 1 oz is produced by the world famous Perth Mint, a big advantage because it guarantees the most exacting quality standards. (4) The Australian Silver Kangaroo 1 oz produced by the Perth Mint is acceptable for Individual Retirement Accounts (IRA).